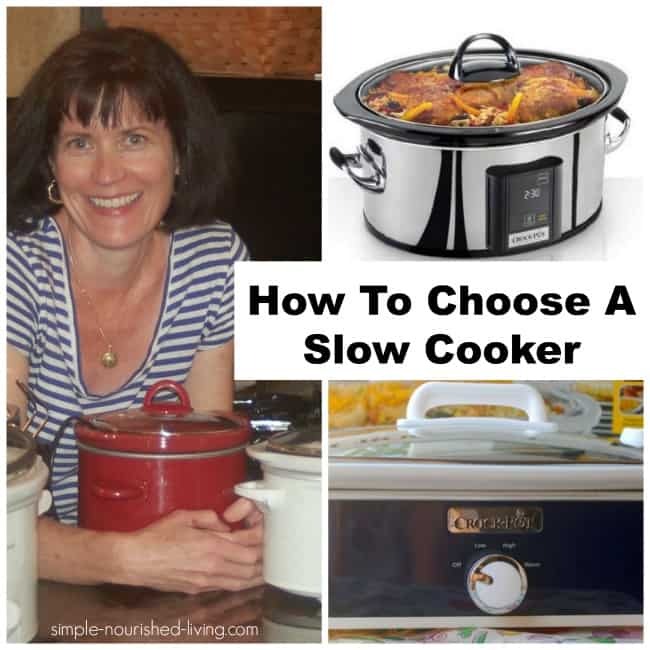 Have you ever wondered about how to choose a slow cooker? My first slow cooker was a bridal shower gift, so there was nothing to consider. A round 5-quart manual CrockPot, with a ceramic insert and plastic lid, in a color combination that just screams, “I’m from the 1980s,” it’s up in the cabin in Wisconsin waiting patiently for me show up and pull it out like I did recently to make a yummy Italian Pork and White Bean Stew. Today, with a vast array of sizes and features, choosing the right slow cooker can be a little more complicated. 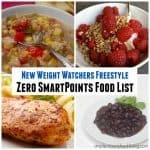 The first step is for him to get a slow cooker, so I’m hoping this post will help make his decision a little easier. If you’ve decided it’s time you joined the slow-cooker movement and buy your first one, or your old crock pot needs to be replaced, here are some things to think about when shopping for one. Slow cookers come in a wide range of prices (from $10 to $300) and functions. While the higher priced ones have a lot of convenient features, with few exceptions, they all are designed to do the same thing – heat food at a low, steady heat in an environment that retains heat and moisture. There is no one best slow cooker. Finding the right one for you really depends on what you plan to use it for. Probably, the most important choice you need to make when you buy your slow cooker is what size to get. Because a slow cooker works best when filled at least half full, it is important to thoroughly consider which size is best for you before purchasing. Slow cookers come in a wide variety of sizes from mini crocks designed for dips (like this yummy 3-ingredient corn dip)/sauces/gravies to large ones designed to feed big families with with lots of options in between. If you are single or a family of two, a 2-Quart to 3-Quart probably makes the most sense. 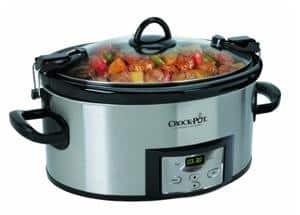 If you are a family of three to four, the right size for you is probably a 4-Quart slow cooker (affiliate link). Large families of four to six will mostly likely need one 6-Quarts or larger. Small (1- to 3-Quart) slow cookers are good for appetizers, serving hot drinks (like this cider), and baking cakes right in the crock. Large (6- or 7-Quart) oval slow cookers can accommodate a turkey breast or whole chicken, which is pretty cool. And you can fit a loaf pan (affiliate link) or baking dish into them so you can make bread or cakes (like this yummy apple cake) or even smaller quantities of main dishes in them. I think the most versatile size is the 6-Quart Oval. 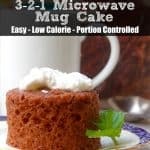 It is a bit on the large side, but it is easier to use a larger slow cooker for smaller quantities than the other way around. I have found that cooking moderate amounts of food in a six-quart slow cooker works very well. Another trick when cooking a small amount of food is to simply place the food into an oven-safe dish that fits inside your slow cooker. Place the dish on the bottom of the slow cooker, cover and cook! Another slow cooker variable to consider is shape. Slow cookers come in two basic shapes: round and oval. Round slow cookers are perfect for soups, stews and chilis. Ovals have more surface area so there’s more room to fit in foods like pork chops and stuffed peppers. And because they have more surface area, they will cook food slightly faster than round slow cookers. A relative newcomer in the world of slow cookers, you can now even find 9×13 rectangular Casserole Shaped Crock Pots, which I love to use to make recipes like this 5-ingredient chicken parmesan lasagna. Manual slow cookers have a button or knob with three to four settings: Off, Low, High and sometimes Warm. 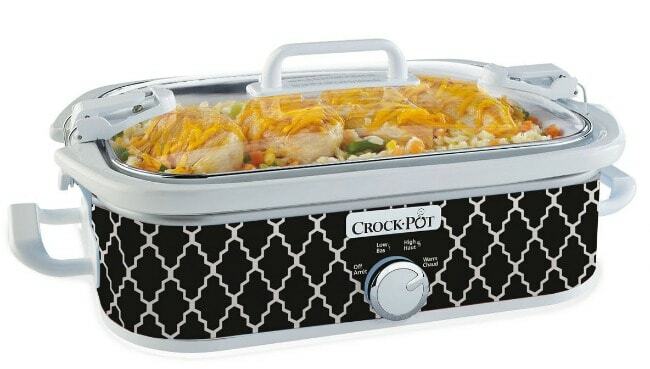 Programmable crock pots provide more control. You can set an exact cook time and then the cooker switches to Warm when the cooking time is up. 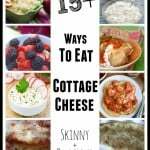 This is helpful when you will be away from home for long periods of time because today’s slow cookers cook much “hotter” than they did a few decades ago. There’s nothing more disappointing than coming home at the end of a long day to an overdone dinner and scorned crockpot. If you are using a programmable cooker and the power goes out – even for just a second – the settings will reset and the slow cooker will be “off” with its light flashing even when the power comes back on. If you are using a cooker with a manual control and the power goes out, it will come back on and continue cooking when power is restored. 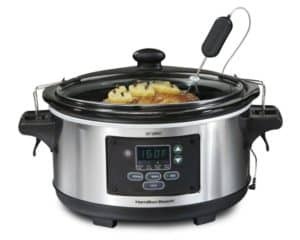 If you don’t want to spend the extra money for a programmable crock pot, but I like the idea of an automatic on-off function, I’ve know people who plug their slow cooker into an appliance timer (affiliate link), and set it to go on or off when they want. You may not need the programmable feature if you are home when you do most of your crock pot cooking, like I am. Lid construction. Slow cookers with glass lids — so you can see what’s going on inside without taking the lid off — are better options than plastic or more opaque versions. Lockable Lids. Many new slow cookers come with a lock-in-place lid which is great if you plan on taking your slow cooker filled with food to parties and potlucks and such. Sear Function. Some slow cookers come with a sear function to make browning meats or sautéeing onions or vegetables easier. Some let you sear food right in the insert using a sear/sauté setting before you switch to slow cooking. Or if the insert made of a material that is stovetop safe, such as stainless steel with or without a nonstick finish, you can sear meat right in the insert on your stovetop and then place the insert back into the slow cooker to finish cooking. Every slow cooker has its own unique personality, so it will take some time to get to know it. Are You Replacing An Old Crock Pot? If the one you are replacing is more than 10 years old, expect your new slow cooker to run hotter. I notice such a difference between my 1980s crockpot I use at out cabin during the summer and my newer ones I use the rest of the year. Today’s slow cookers cook hotter and faster because of a recent concern about food safety. So if you are finding your old recipes are cooking too fast try adding more liquid and/or cooking for a shorter amounts of time. Eventually, you’ll get the groove of your new slow cooker and adjust accordingly. If you really miss your old slow cooker, check out thrift stores, garage sales or Ebay for a replacement. What is the Difference Between a Slow Cooker and a Crock Pot? The Rival company branded the slow cooker “Crock-Pot (affiliate link)” back in the early 1970s. 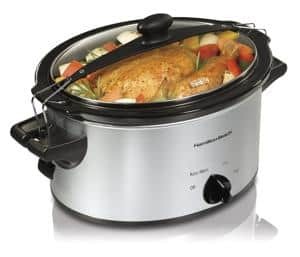 So although the name “Crock-Pot (affiliate link)” is technically a brand name, the terms “slow cooker” and “crock pot” are generally used interchangeably. Technically your slow cooker (crock pot) is a Naxon Beanery, invented by Irving Naschumsohn in the late 1930s. He sold the invention to Rival in 1970. It’s not fancy, but the intuitive interface, locking lid, and modest price have made it the best deal for your money three years running, according to the Wire Cutter Review Site. It is one of the few modern slow cookers that doesn’t seem to cook too hot, a major advantage. Also it’s the only slow cooker with a heat probe to monitor the doneness of roasts and other meats. 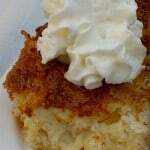 It shows up as a favorite regularly on review sites and with slow cooker experts. Its size and shape make it the most versatile because it is easier to use a large cooker for smaller quantities than the other way around. This slow cooker provides a user-friendly touchpad control panel and four cooking modes that include high, low, simmer, and warm. When the cook time ends, the appliance automatically shifts to the “warm” setting, so dinner stays hot and ready to serve without overcooking. The 3-1/2 quart size is perfect for 2 or 3 people. If you are looking for a larger family you may want to get the 4 or 6 quart one. 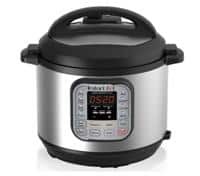 This is an oval-shaped slow cooker with 6-1/2-quart removable stoneware crock, touchscreen control panel, and programmable cooking time that is highly ranked by the folks at Cook’s Illustrated. The Crock-Pot (affiliate link) Touchscreen is easy to use (read: don’t need to be a computer scientist to work the control panel), features a glass lid so you can keep an eye on things, and a timer that goes to 20 hours, even on high. This 4-quart cooker doesn’t have fancy features or a built-in timer, but it’s a good option if you cook for only one or two people. So, unless I’m cooking for a crowd, or won’t be available to manually switch it to warm, this is the slow cooker I use most. 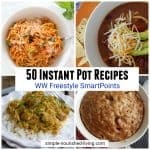 My latest greatest kitchen is my Instant Pot (affiliate link) 7-in-1 Multifunctional Pressure Cooker, Slow Cooker, Rice Cooker (affiliate link), Saute/Browning, Yogurt Maker, Steamer & Warmer. I mostly use it as an all-in-one slow cooker, since the saute/browning function allows you to do all your precooking in the same pot. I’ve also had great success cooking rice and plan to experiment with pressure cooking this summer. 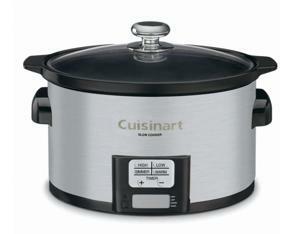 Do you have a favorite make/model/style slow cooker? We would love for your to share your thoughts and comments with us! Thanks for writing this up and sharing – you bring up some good points for me to consider. 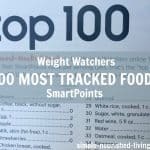 I haven’t had the chance to do any crock pot comparison shopping yet (and as you know I will probably research this thing to death :)) – but I intend to start that in the next day or so. The weather is cooling off here in Northern CA and I am eager to get started with my crock pot kitchen adventure. I’m sure I’ll have a question, or three, so I’ll get back to you once I know a little more about what I am talking about. Something to note that I didn’t see mentioned – is the newly invented item of the ‘crock pot liners’! Have never used them myself, but as I sometimes scrub the ‘line’ in my crockpot, wonder if these wouldn’t really serve a good purpose!! Must certainly help with clean ups. There area few things you left out. One is how the cooker cooks. I have the CrockPot 6 quart manual oval my mother picked up about 3 years ago. I have noticed that there isn’t much of a difference in temperature. It also cooks hotter on the left rear wall which causes foods to burn on that side. When baking cake or corn bread like I do, it doesn’t bake under the item which causes the cake/cornbread not to rise in the middle. It cooks, but doesn’t rise. I am looking to replace this one because of that and the temperature problem. It cooks so hot that I have to cut the cooking time in half. Because of the heating element being hotter in the back left I also have to turn the crock 180 degrees so it cooks more evenly. You are right that there is a lot of variability between individual slow cookers. Some cook much ‘hotter’ than others. And most do seem to have a ‘hot spot’ or area that cooks at higher heat. I’ve read that this tends to be in the area directly opposed to where the controls are located. One suggestion I’ve read is to create a ‘collar’ made of aluminum foil to insulate the area, allowing your food to cook more evenly. 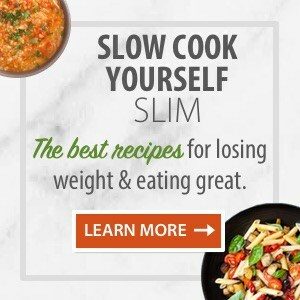 For successful slow cooking, it’s necessary to get to know your slow cooker and it’s particularities, just like an oven that oven may be cooler or warmer than the temperature it’s set to. Thanks so much for taking the time to share these important considerations! 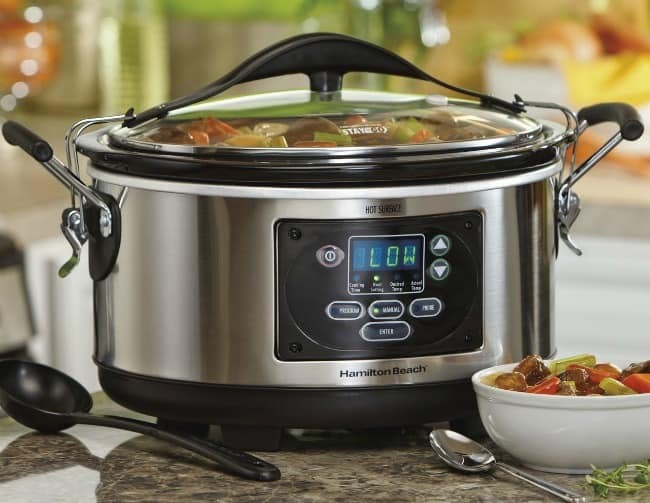 The Hamilton Beach intellitime slow cooker is intriguing but I want to know if it is safe to use, meaning – one is not supposed to start with frozen food since bringing it up to a safe cooking temp takes a long time which exposes the food to possible ideal conditions for nasty things to grow. Does not this slow cooker do exactly what one is supposed to avoid – I’ve looked at the temperature/time curve and wonder how long the food stays in the danger zone (mind you, I can’t remember exactly what temp constitutes the danger zone. Since I use my slow cooker as a resource when I’m taking a meal to a family in need, I prefer not to expose them to dangers in the food itself. Do you know anything about this? Hi Gail, I don’t know. You may want to contact the folks at Hamilton Beach. 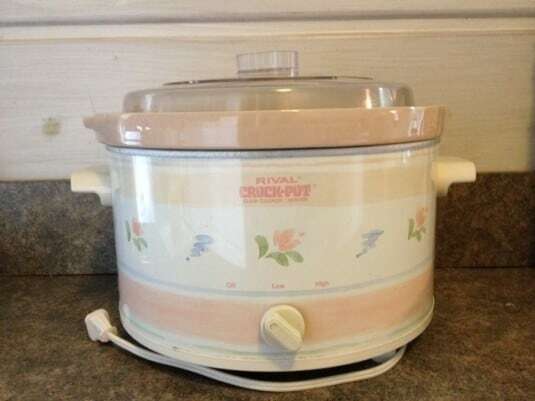 I have the exact same 80’s crockpot, design and all. It was gift to me from my Aunt’s when I was in my teens. I lived on my own early, due to the loss of my Mom. They told me it would come in handy, and I could make the best meals with little money. I am now 42, and they were right! I am making BBQ Ribs & Beans in it tonight.